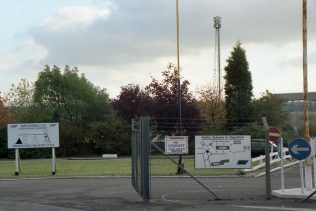 Colliery sign at the access to the entrance on Mansfield Road. 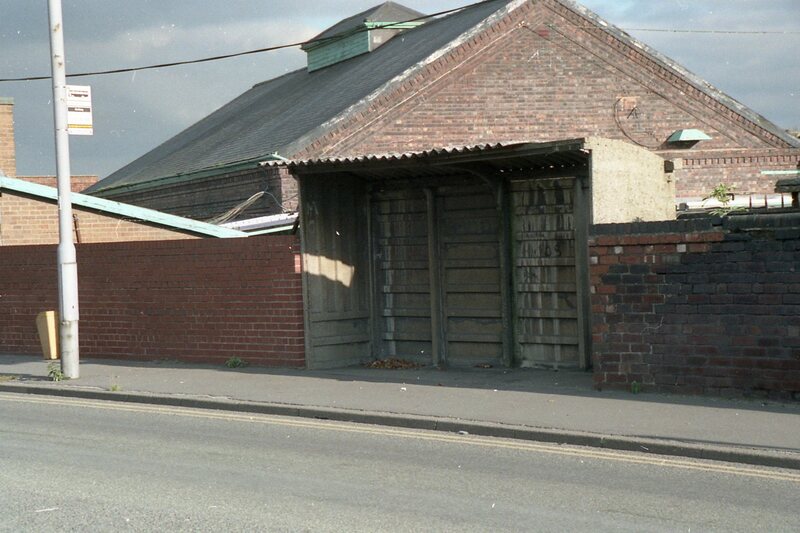 Colliery Bus Shelter on Mansfield Road. Pedestrian entrance to Colliery on Mansfield Road. Colliery yard as seen from Mansfield Road. Colliery buildings on Mansfield Road, across from the main site. Boiler House still in use, but has the appearance of being derelict. 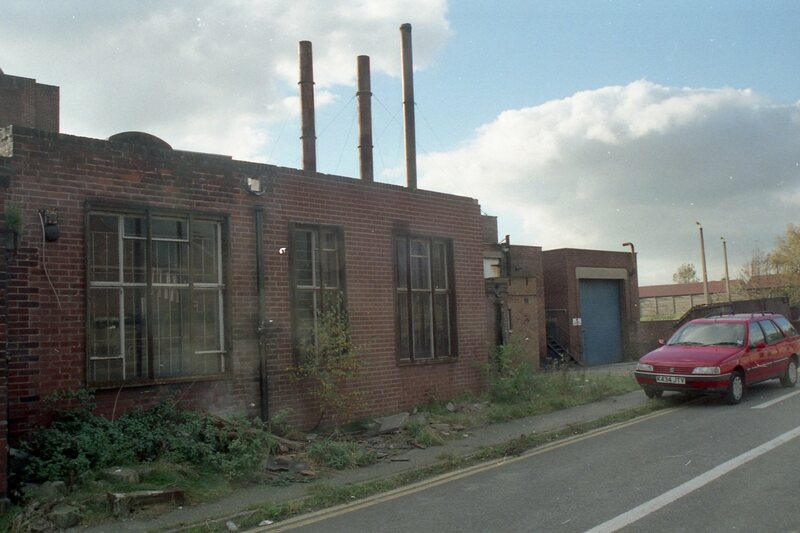 These photographs were taken in 1997 as part of a Local History project for Nottingham University. Clipstone Colliery was founded by the Bolsover Colliery Company in 1912. Work was suspended in 1914 owing to the outbreak of war, and resumed in 1920. Coal was reached in April 1922. Clipstone Colliery was closed by British Coal in 1993. After only a few weeks, was purchased and re-opened by R.J.B. Mining, with an investment of £5,000,000 and an expected life of at least five years. 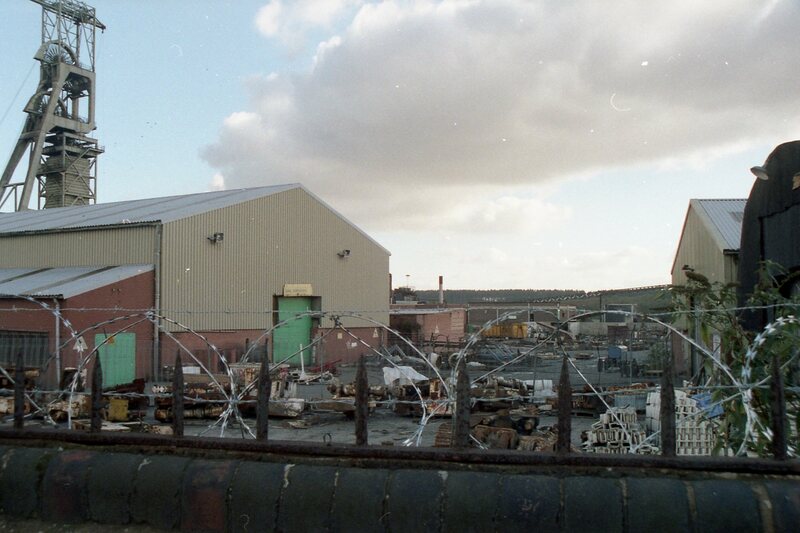 Autumn 1997 was a very sensitive time at the Colliery, as was made clear when I was challenged by the Manager himself, whilst taking photographs of the site. He was concerned that I was from the ‘Press’. 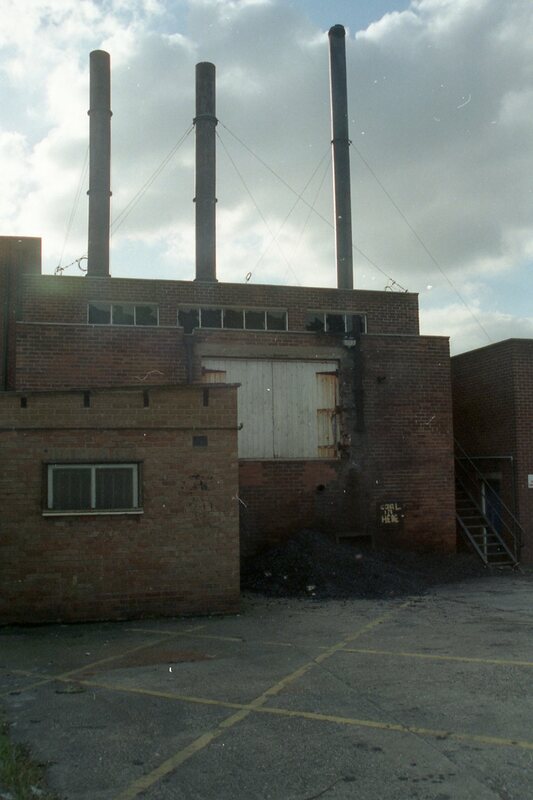 This followed a report in the local newspapers the week before, that there may be redundancies at the pit. Once again it was a worrying time for miners at Clipstone Colliery and the whole village. 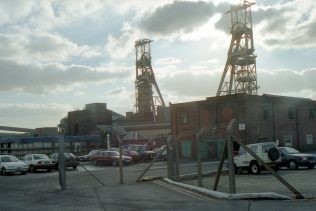 By the end of November 1997, it was confirmed in the newspapers that 78 of its miners were to be made redundant. 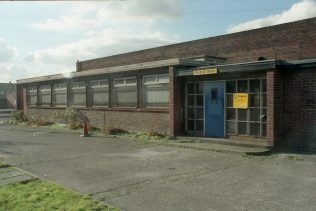 Not all facilities provided by the former owners ‘British Coal’ were used by R.J.B. Mining. The building complex, situated across the road from the main Colliery site, appeared to be derelict even though some of its building were still in use. 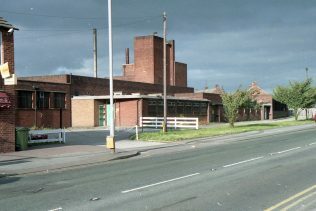 The Medical Centre and Canteen were both closed, but the Boiler House and Baths were still in use. 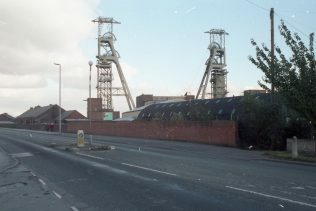 The Colliery finally ceased production and closed in April 2003. All that remains are the headstocks which have an unknown future. Scott! 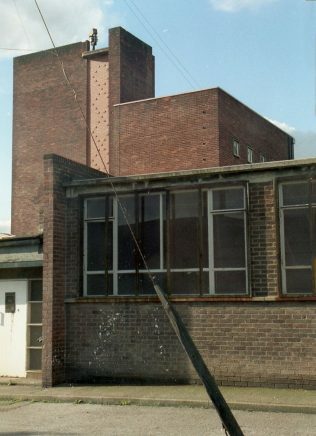 I served my Apprenticeship in Electrical Engineering at Clipstone and Neil Straw was Mechanical along with Geoff White, Bill Moody etc. Happy times in the 1950s/60s. I was fortunate that I was on the surface in the Summer and Winter months underground. I left the Mining Industry in 1964 but remember most of the staff in the surface shops.Dianne Marsh, I remember Eric and Eddie Thompson,George Waller, Arnold Pashley, all worked in the Welding Shop in th 50s/60s. 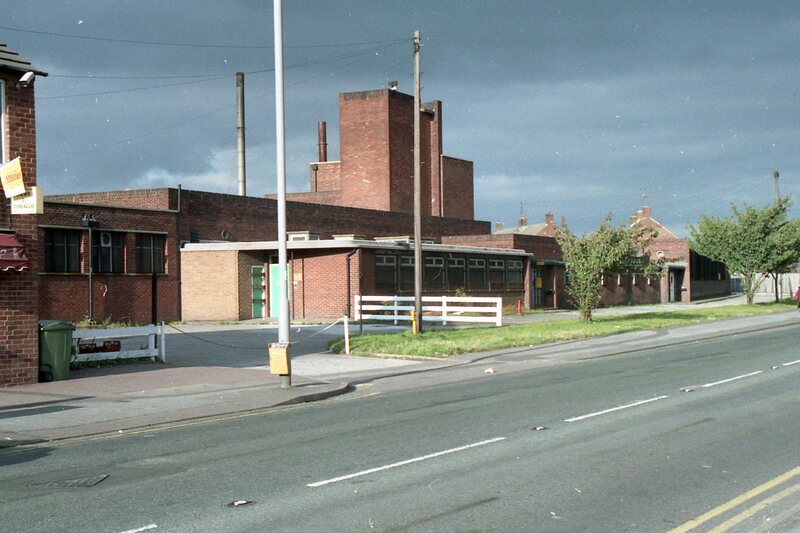 My gran worked in the canteen in the 1980’s Mary Darrington, they only lived on 21 King John Rd. 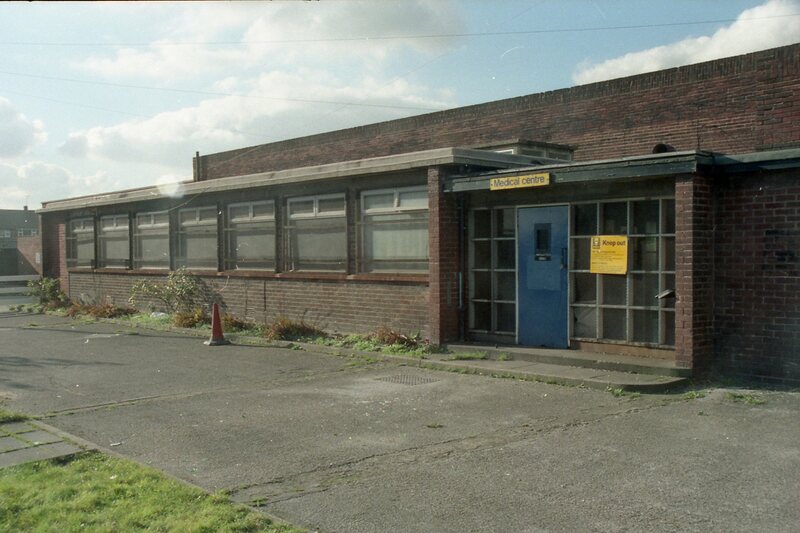 Very fond memories nipping into the canteen for some sweets. Different times, better times I think and I was only 10 at the time. My uncle and cousins worked in the mine, my uncles name is Neil Straw. I live in the village and have often seen the wheels turning in windy weather, i was rather shocked the first time I saw it. I do find all of this so sad,about the headstocks of Clipstone Colliery.Such fine monuments to mark what was there before and now NOTHING !! It’s such a shame,and please can they stay there for future generations to witness what we used to have. I am sure something can be done somehow to preserve these fine headstocks,which can be seen from miles around. Don’t let them be demolished,we need things like this to remind people of the fact we had all these coal mines dotted everywhere !!!! Once more today,10.20am,passing through Clipstone and past the headstocks,the shrouded/upcast?? shaft winder wheel was turning merrily round in the prevailing wind and rain.It never ceases to amaze me how this continues to happen.Those bearings must still be in incredibly good order for this to happen time and again.I ask again,has anyone else witnessed this at any point?? I don’t know if people will believe me but I have seen the wheel of one of the now derelict headstocks actually turning, slowly yes, but turning certainly.The first time I noticed was coming from the King’s Clipstone end of matters, the wind was fairly high on this day and sure enough the left hand side headstock wheel was turning slowly round.Not sure whether up or downcast shaft, I’ll let the colliers amongst you define that one.The second time was coming through from the Forest Town end, similar weather, and the same wheel was turning slowly around.Now I dare say that the bearings of these things are still in order and movement possible, but I had thought too heavy for the wind to turn at the very least?? Also there was nobody up there making things happen, the wire and tannoys below are a deterrent to the potential urban explorers and Youtubers I suppose now,but much is on there of their exploration antics over time. Has anyone else witnessed this by any chance? I am writing this on behalf of my uncle his name is Sid Wallace he worked at Clipstone colliery from 1960 to 1961, he is interested to hear of Brian Wilson (aka Toddy) whom he worked with but who was was also a good friend. Thank you. While working on the weigh bridge, my foreman was Frank Bingham, joiners Pete and Ivan, Pete Church JCB. While digging out it was pure sand easy digging for the JCB. Our there any photos of the weigh bridge. It was intresting to watch the rail wagons being Weighed then taken down the sidings for the train to take them to the power station. I worked at clipstone in 1975 for Harry Camms fond memories.We worked on the weigh bridge for the railway wagons one side, new weigh bridge for lorries the other. 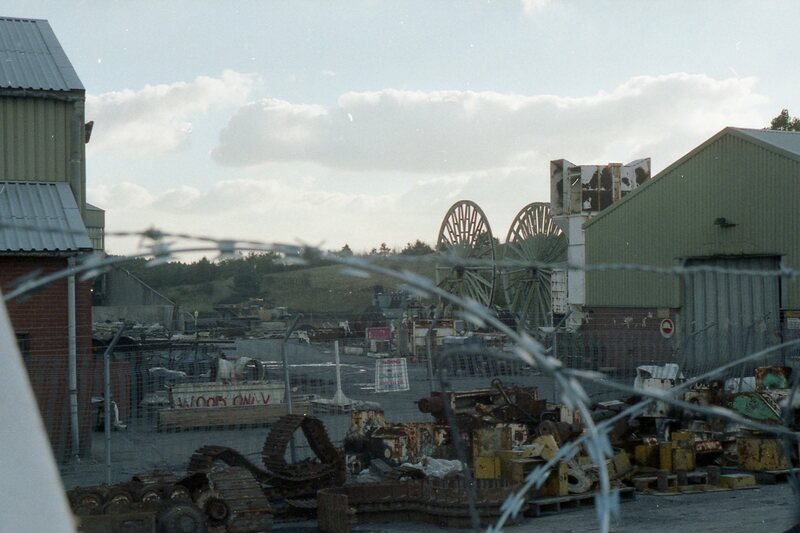 It is so sad to see Clipstone like this. 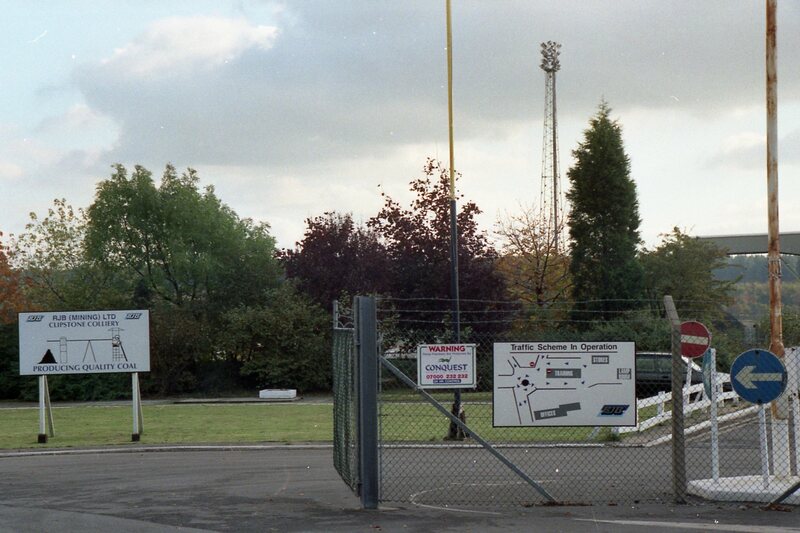 My Dad was a forman welder at Clipstone. Not sure of the the dates but guess late 60’s. Most of our soap at home had P.H.B. stamped on it. He often strained his back whilst working and would go to the sick room where they rubbed his back with stuff that he swore was horse liniment. We could smell him coming down the drive when he came home. My grandad Wilf Leivers worked here for 50 years. He started in 1928 aged 13 and retired in 1978. He was at first a haulage worker and then went on to work at the coal face as a face end packer. He died in 1985 aged 70. 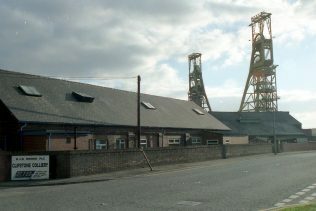 I worked at this colliery from 1985-1997, under British coal and RJB mining. Working for RJB was very different to the good old times of British coal, most of the miners under RJB were not the old Clipstone miners, a lot of them were from the Derbyshire mines. The Manager you speak about was Chris Daniels (enough said) but his dad the old Manager was a nice guy. Richard Budge (CEO of RJB) was also a friendly guy who you could share a joke with, a few times he had a sit down chat with us and shared my flask and a bag of sweets. In October 1997 the miners were told 78 were being made redundant but they refused to tell who they were. I was sent a letter by post on the 29th December 1997 telling me my employment was terminated the day before on the 28th. Just to correct you Malcolm the pit closed on Friday 28th May 1993 and re-opened on Monday 24th January 1994 not after only a few weeks. I also went to Samuel Barlows School. My Family that lived on King John’s Road were the Tryners, my name was Pamela Bramwell, your name rings a bell. I loved playing down that end of the village. Now the pit has closed the village has lost it’s soul. 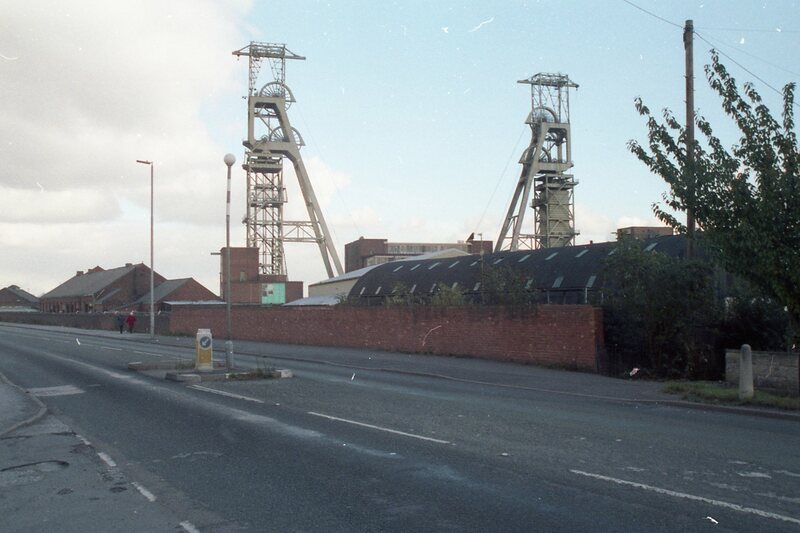 I lived on King Johns Rd across from the pit from 1961 to 1969, my grandad worked in the mine for over 30yrs, I to remember going to the canteen cheap and good meals plenty of food on yer plate, all for a couple of bob. 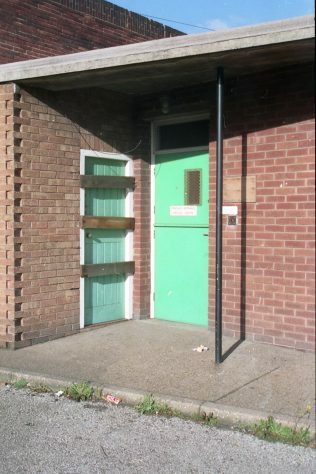 I have lots of memories of Clipstone, I moved to Leeds in 69 but returned in 74 and stayed until 84, one of the best places in England very freindly people,l ike to get a reunion at sometime if anybody can remember me, went to Samuel Barlows School and was in Mrs Wards class. 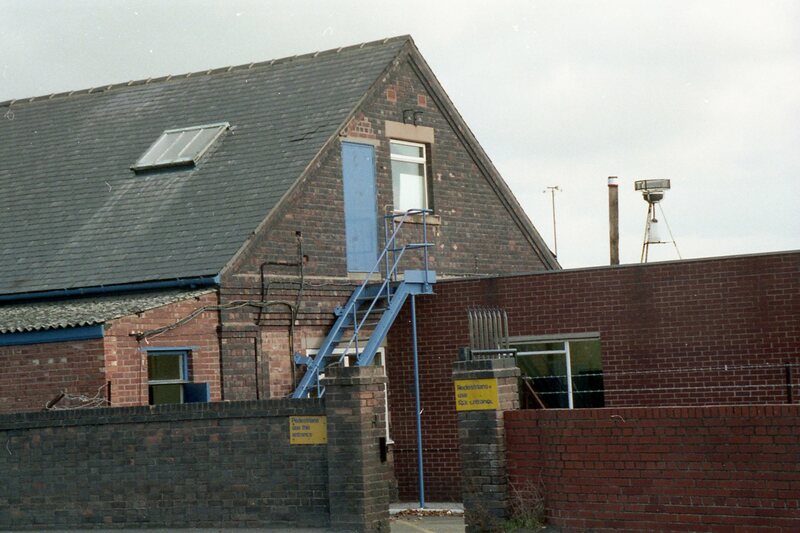 I had a cousin that lived over the road from the pit,we went to the pit canteen many a day for our dinner,they let you.I also have memories of my wedding day getting married from her home, I had lost my dad so her dad gave me away,the early hours listening to the lorries going back and forwards.